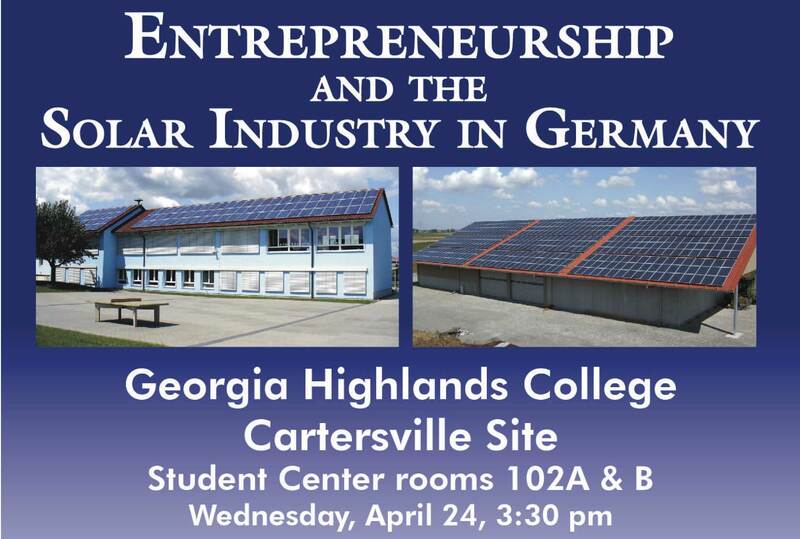 Georgia Highlands College will host speaker Rainer Walter-Helk, CEO of Innotech Solar GmbH, for a presentation on “Entrepreneurship and the Solar Industry in Germany” on April 24 at 3:30PM at GHC’s Cartersville location. Walter-Helk will discuss his experiences as a CEO creating and operating a new solar energy company, along with the challenges the industry faces and the possibilities it presents to the world and its environment. He will also draw comparisons between Georgia, home to a growing solar industry, and Germany, a major world leader in solar technology. Walter-Helk will be assisted by GHC student and Congress Bundestag Exchange Fellow Lena Walter-Helk. “In the coming years, the solar industry has the potential to create more affordable, clean, renewable energy, as well as jobs here in Georgia,” said Professor of History Bronson Long, director of Global Initiatives and Study Abroad at GHC. 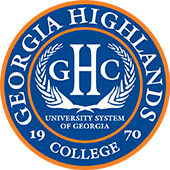 Long hopes hosting Walter-Helk will help GHC faculty, students and the general public in Northwest Georgia learn more about the importance of the solar industry. The 45-minute presentation will be followed by a Q&A session and light refreshments. The event is sponsored by GHC Global Initiatives and Study Abroad Program and Students Without Borders.